NFSB Continuing Education » mmm… Garlic! 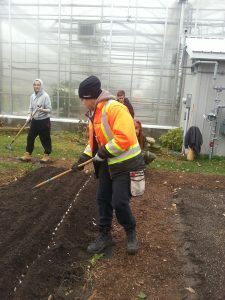 The horticulture students planted 20 pounds of organic local garlic in our very own vegetable garden. It is easy to do if you are dressed warmly! 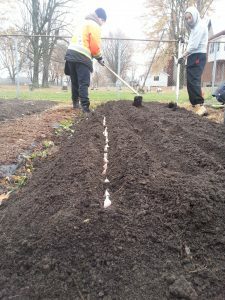 After watering, we cleaned the last raised beds and said goodnight to the garden for another season-long winter sleep. 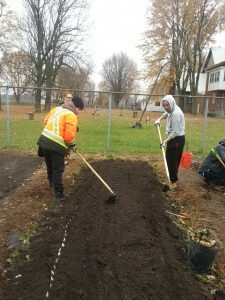 Stay tuned for our upcoming beautiful winter plant sale coming up on December 14th from 10-4.